A voice for the whole community. See here for complete election results for Tiverton. Questions, problems, observations? Email or call Justin: (401) 835-7156. Follow the Daily Tiverton Truth Flash on Facebook. Click for sample ballot with description of your choice PDF. Click for printable candidate postcard PDF. Two issues have been at the center of Tiverton politics since the last election: revenue from the Twin River casino and the ability of residents to control their taxes using the financial town referendum (FTR). Both of these issues were expected to come to a head this year, and they did as the Town Council abused its authority to grab power over casino revenue and block anything they didn’t like from the ballot, both at the FTR and this coming November. So, with a resolution passed on February 27, 2017, the council held an election for a Charter Review Commission (CRC). The Tiverton Taxpayers Association (TTA) ran a campaign promising to protect the FTR, protect taxpayers’ ability to control casino revenue through the FTR/budgeting process, and update and improve the charter. When all the votes had been counted, the TTA slate had won all nine available seats. But that wasn’t how the council wanted things to go. Under the leadership of Denise DeMedeiros, the council clearly hoped to use the CRC to push through its power grab. Unable to do that, it just ignored the duly elected CRC for months and fought it the rest of the time. Meanwhile, members of TTA put together resolutions and an alternate budget for the FTR to give voters more leverage against the council’s power grabs. The council couldn’t have that! The Town Solicitor — who works at the pleasure of the council and who offered no assistance to the CRC —­ blocked multiple resolutions from the FTR ballot. At the same time, members of the council and their political allies were spreading false information about the lower-tax Budget #2. For some reason, the biggest labor union in the state decided it had to spend money to interfere in Tiverton’s election and send out dishonest campaign mailers. Among the things the council’s allies said were that Budget #2 took too big of a risk by assuming the casino would open on September 1 and that it would be open 24/7. They also said it was paranoid to worry that the charter would be changed to take away residents’ ability to control their taxes with the FTR, including with tax relief from the casino. Everything TTA said proved true. The FTR was held on May 19th. On May 25, Twin River confirmed its September 1st opening. On June 1st, the council approved 24/7 operation. TTA was even right to point out that sports gambling would add to the revenue the town could expect. As a result, the town’s gambling revenue for the full month of September came to $163,807. If that continues for the rest of the fiscal year, the total will be over $1.6 million, which is $689,493 more than Budget #2 predicted (almost 60%). Over the summer, the Town Council brushed aside all suggestions from the CRC and put its own resolutions on the ballot (see the back of this pamphlet). Rather than the long cooperative process that Tiverton deserves, the key charter changes on the ballot were simply created by council members. 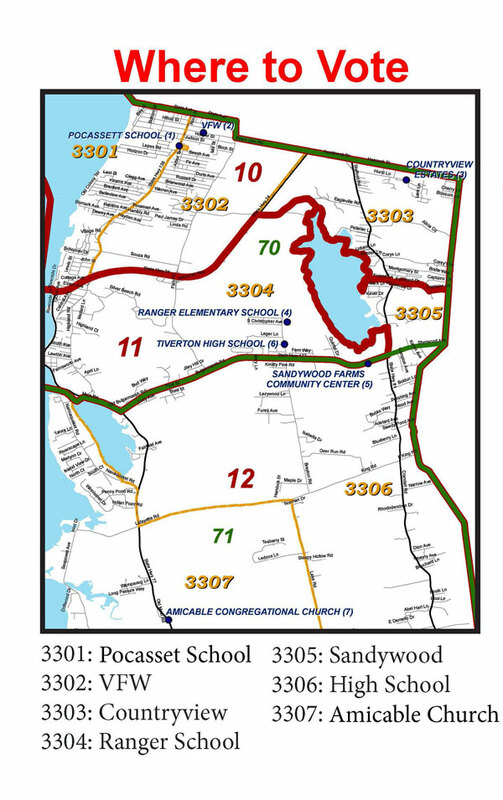 If those charter changes pass and if the TTA slate does not win in November, Tiverton will change for the worse. 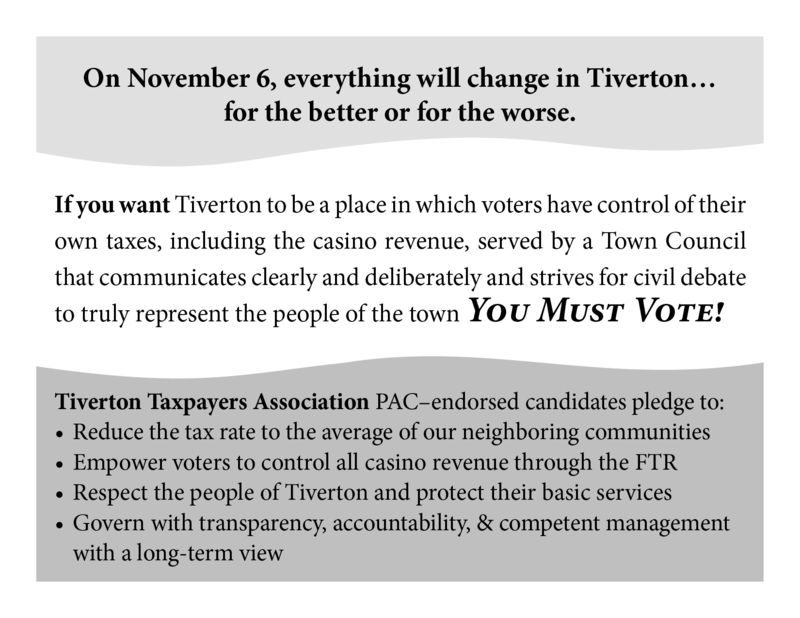 If the TTA slate does win, and if the charter remains intact, Tiverton will be a place in which taxpayers have control of their own taxes, including the casino revenue, governed by a Town Council that communicates clearly and deliberately and strives for civil debate to truly represent the people of the town. Tiverton has an unprecedented opportunity to bring its tax rate down to a reasonable level compared with its neighbors while laying a stronger foundation for the long term, but only if this election doesn’t strip taxpayers of their rights and reduce their ability to control the budget year to year. Occupation: Inventor and president, SkiMetrix, Ltd., Tiverton, holding several patents and manufacturing products covered by the patents. Reason for living in Tiverton: It’s a very nice place on the water. Relevant experience: President student chapter American Institute of Aeronautics and Astronautics. Started several businesses, therefore I am familiar with challenges of managing cash flow, management, employees, etc. Served on the Tiverton Charter Review Commission (CRC) during 2017 and 2018. Justin Katz moved to Tiverton, where he lives with his wife and four children, in 2004 and soon began following Tiverton government closely as a blogger. 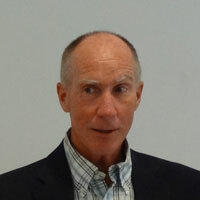 He was an active participant in the annual financial town meetings (FTMs), was a founding member of Tiverton Citizens for Change (TCC), helped in the successful change of the town’s Home Rule Charter to create the financial town referendum (FTR), was a founding member of the Tiverton Taxpayers Association (TTA), and edits TivertonFactCheck.org. With other TTA members, Justin developed and submitted elector petitions at four of the seven FTRs, with voters approving three of those as the budget for the town. He has been on the Budget Committee for the past two budget cycles, both of which continued the trend of low, no, or even negative tax increases. After a decade working locally as a carpenter and construction foreman, Justin became the research director for the RI Center for Freedom & Prosperity and managing editor of the Center’s news and commentary site, OceanStateCurrent.com. 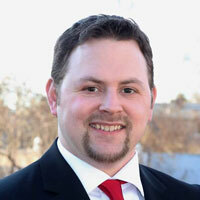 In both roles, he researches and analyzes a broad range of legislation and government policy issues. Justin holds a B.A. 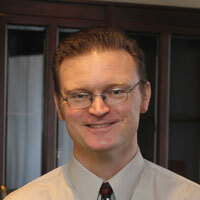 in English from the University of Rhode Island and is active with St. Christopher’s Roman Catholic Parish in Tiverton. As voters make decisions for November 6, the financial town referendum (FTR) from this spring is worth revisiting. Everything members of the Tiverton Taxpayers Association (TTA) said proved true. Supporters of the higher-tax budget said the TTA-supported Budget #2 was reckless because it used the estimated gambling revenue provided by the state, which assumed Twin River would start operating September 1st and be open 24/7. Well, the FTR was May 19th. On May 25, Twin River confirmed the September 1st opening. On June 1st, the Town Council approved 24/7 operation. TTA was even correct that sports gambling would add to the revenue. TTA’s critics also claimed we were paranoid to worry that a charter change would take away residents’ ability to control taxes with the FTR, including tax relief from the casino. Sure enough, the council brushed aside all resolutions passed by the elected Charter Review Commission (CRC) and put its own on the ballot, including one that takes gambling revenue out of the budget process and another that would dramatically hinder residents’ ability to control taxes through the FTR. 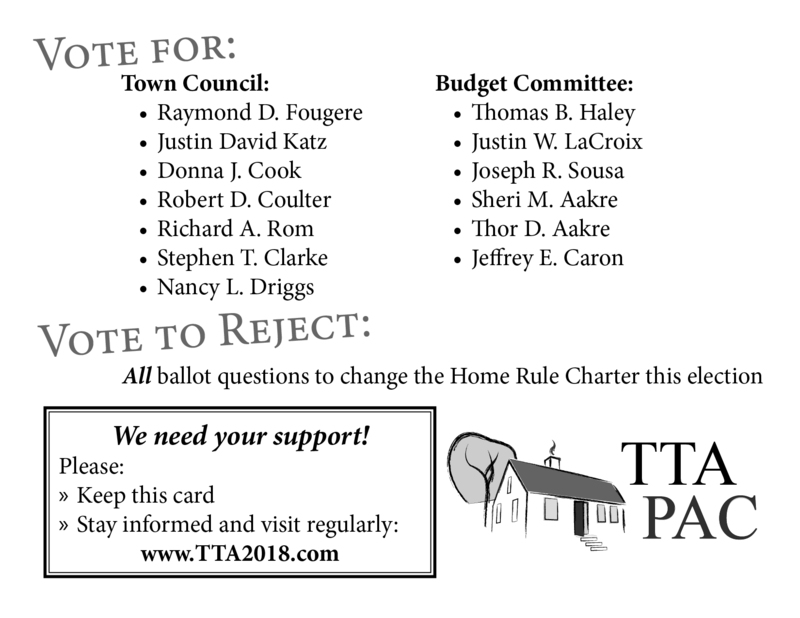 This November, vote for TTA-endorsed candidates for Town Council and Budget Committee and to “reject” all local ballot questions. For some reason, activists keep bringing up the fact that the Tiverton Taxpayers Association (TTA) sends out “glossy postcards.” The insinuation is that we’ve got money to burn in our campaign. The thing is, glossy postcards are less expensive. Their advice would apparently be that we should spend more money in order to seem like we’re being less fancy, like buying $500 ripped jeans. That mentality is why the Town Council has let employees get away with theft… to avoid lawsuits. It is why they let buildings fall apart… to renovate or buy new ones on debt. They spend more money to make it seem like they’re spending less. Many bad decisions seem like they do their opposites. For example, the council’s charter proposal on the casino money (#10) doesn’t ask us to vote on how it’s spent. It would just give four people the power to decide. This, we’re told, is to prevent it from falling into the hands of just a few. Huh? TTA opposes that power grab. We want the people of Tiverton to have control. And yet the “glossy postcard” complainers say we just want the power. Again, the opposite is the truth. List previous terms, if any, with years served. I have served the public as a Budget Committee member for 3 years and Charter Review Commissioner 2017-2018. Educational Background: Graduate of Tiverton High School, graduate of RI Junior College (CCRI) License Practical Nurse program, graduate of the American Eagle Airlines Flight Attendant School. As a LPN, I was a supervisor and charge nurse of nursing units; as a flight attendant, I served as Boston based AFA-CWA Local Executive Council President and was a Member of American Eagle Master Executive Council and AFA-CWA Board of Directors. I believe my experience and the skills I have acquired through my work, have given me an understanding of contracts, policies, laws, and the Town Charter. Through volunteering as a public servant I have had the opportunity to become educated on the town budget process, the Town Financial Referendum (FTR)and the Charter, as a member of the Charter Review Commission (CRC). Why are you running? I’m seeking a seat on the Town Council because it became very clear to me, while serving on the CRC, that the present Town Council (TC)was not working in the best interest of the taxpayer to control their taxes. The TC ignored and blocked all CRC tax friendly proposals and replaced them with TC self-generated Charter proposals which takes budget choice off the table for taxpayers and allows the TC total control of casino gaming revenue without taxpayer consent. The governments role is to serve the people, not look for ways to shut them out. Our current trend is completely the opposite. This self-serving Council has continued to attack our personal income and desires to limit our freedom to petition the government, by looking to enact the most restrictive changes to the FTR via TC ballot proposals on November 6th. I will put the taxpayer first and protect your wallet. I pledge to: reduce the tax rate to the average of our neighboring communities, empower voters to control all casino revenue through the FTR, respect the people of Tiverton and protect their basic services. Govern with transparency, accountability, and competent management. Allow me to be your voice. Vote the slate. What are the most important issues facing your constituents? Voting on November 6th. This is a defining moment for the taxpayers. They must vote to protect and keep the FTR or lose control of their taxes. Keep casino revenue for tax relief and in the budget process with taxpayer consent. Reject all charter changes. Because if you don’t, say goodbye to budget choice, control of taxes and casino revenue for tax relief. Say hello to a TC casino revenue slush fund with no taxpayer oversight or consent. Are you tired of the dysfunctional leadership that for the past two years, Tiverton has had to endure? Frivolous lawsuits, one costing the taxpayer $150,000, out of control meetings with foul language, intimidation and bullying of volunteers in public, an Open Meeting Act violation lawsuit filed by the attorney general, a lawsuit to have a 3.5% budget on the ballot, blocking all Charter Review Commission tax-friendly proposals and replacing them with Town Council self-generated proposals. If you are tired of this dysfunctional leadership then vote for a change, vote the Tiverton Taxpayers Association (TTA) slate. The Town Council proposals would change the Financial Town Referendum (FTR) to inhibit all aspects of the ability of citizens to control their taxes. Further, this council’s proposal removes the casino gaming revenue from the FTR process and gives the council total control over the revenue without your consent. Don’t let this happen; you must expect more from your leaders. Reject all charter amendments on the ballot November 6th. Relevant experience: U.S. Navy; Tiverton Budget Committee; Tiverton Town Council; involvement in various local community organizations; practicing attorney with deep experience in government matters and legal documents/issues in general. Served on the Tiverton Charter Review Commission (CRC) during 2017 and 2018. When you vote on November 6th, please remember that none of the charter changes on the ballot are the ones proposed by your elected Charter Review Commission. The Town Council kept you from voting on those, and put their own proposals on the ballot instead. Especially bad are the Town Council proposals to gut your Financial Town Referendum and prevent casino money from being used on the operational budget (in other words, to lower taxes). At the FTR budget vote last May, the power-grabbers told you that vote “wasn’t about the FTR.” They also said it was too risky to count on casino money to lower taxes. Well, as predicted, they are trying to gut the FTR, keep the casino money from tax relief, and control the entire municipal budget. And, despite their scare tactics, the casino opened early. Please remember this as you watch the campaigns going into your November vote. Now more than ever Tiverton needs a new Town Council which will embrace good government and respect the voters. And I believe the voters, not the Town Council, should keep their FTR rights and decide if casino revenue can be used to lower taxes. Stop the power grab. 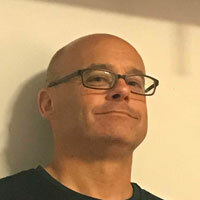 Robert Coulter is a past member of the Tiverton Town Council, Budget Committee, and Charter Review Commission, and is a candidate for Town Council. I was disappointed, but not surprised after all of the other abuses, to see how misleading the official Tiverton voter “information” guide is about the Town Council’s desired charter changes. Remember, these charter changes are not what your elected Charter Review Commission recommended on behalf of the voters. The current Town Council blocked you (for the first time in history) from being able to vote on those, and instead put their own power-grab changes instead. Their voter “information” guide, though paid for by your taxes, is nothing but misleading propaganda that you cannot trust. Just like when they told you quadrupling a petition requirement from 50 to 200 signatures is only a “slight increase,” their propaganda is filled with everything from finessed half-truths to flat-out lies. I was the chair of your elected Charter Review Commission, and I encourage you to vote down all of the Town Council’s charter changes, and especially #10 and #11. None of them have the support of the Charter Review Commission and all of them shift power to the Town Council. #10 and #11, in particular, gut the Financial Town Referendum and essentially puts the Town Council in total control of taxes, budgets, and now the casino money. 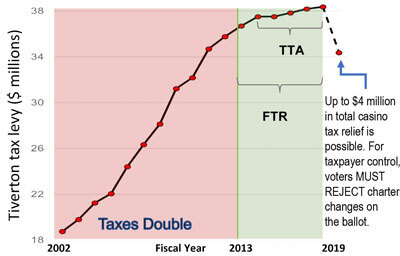 In seven years with the FTR taxes have finally come under control and the sky did not fall despite their propaganda. And again, just like every election and FTR, we have the same, old scare tactics about “cutting trash pickup” or “cutting services” and personal attacks against taxpayer-advocate neighbors. Really? We now have a casino throwing off millions of new tax dollars a year but trash and services are still at risk if you don’t vote for them again? All of this is just the latest of a long string of behaviors, propaganda, and threats of why this Town Council needs to be replaced by one that respects the voters and acts with honesty and transparency. Tiverton deserves better. 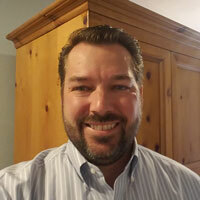 Robert Coulter is a past member of the Tiverton Town Council, Budget Committee, and Charter Review Commission, and is a candidate for the next Town Council. 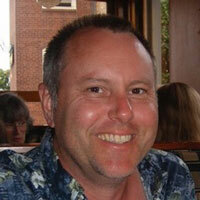 Occupation: Principal Systems Engineer with Raytheon Corp., Portsmouth, retiring in 2015 after 28 years. Software Engineer for General Electric, Syscon, and Sperry Univac. Reason for living in Tiverton: I moved to Tiverton with my wife, Laura, in 2004 after 25 years in Portsmouth, where we raised our four kids. Taxes were reasonable in 2004, and we wanted more land and less house after our last child left for college. Relevant experience: Listening to voters of Tiverton while campaigning for a 2016 run for Senate District 12, I spoke with so many people and the most popular complaint by far is the excessive increase in property taxes and the concern for casino revenue. Served on the Tiverton Charter Review Commission (CRC) during 2017 and 2018. 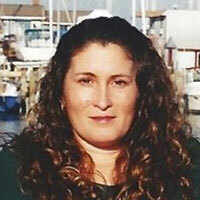 Reason for living in Tiverton: My wife and I moved to Portsmouth, RI 24 years ago to pursue my career. After my children went on to college we moved to Tiverton because there is less development, less traffic and beautiful open spaces and seashores. Relevant experience: As a product development engineer, I lead multi functional teams that developed various medical devices. Many of the skills needed to successfully deliver new medical products to market through a team approach will carry over to achieving results in the political arena. Served on the Tiverton Charter Review Commission (CRC) during 2017 and 2018. A Town Charter prescribes how a town is governed and should have no political bias. with the Tiverton Taxpayers Association (TTA), were all elected to the Charter Review Commission (CRC). These people were very open about their political agenda and were voted in because of it. ballot. The Town Council threw all 40 proposals in the trash. The Town Council then put forward their own changes. 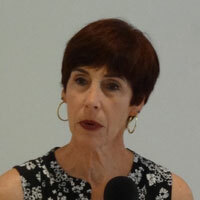 In response, the CRC and the TTA are now advocating that the voters reject the Town Council’s proposed changes. In light of all this, I believe that the best course of action for the voters is to reject the Town Council’s proposals. environment could result in changes that we may regret in the long run. 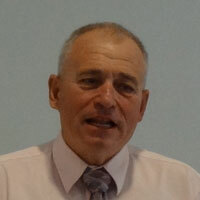 Relevant experience: Co-Chair of the Financial Town Meeting Changes Advisory Committee (FTMCAC), 2010-2011. 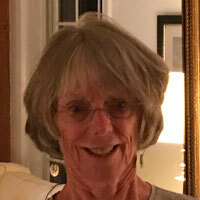 Elected Member of the Tiverton Budget Committee, 2014; served on the Tiverton Charter Review Commission, 2017 – 2018. Founding member and President of the Tiverton Taxpayers Association. Served on the Tiverton Charter Review Commission (CRC) during 2017 and 2018. This November 6 election is one of great consequence for Tiverton. The effects of your vote, immediately and in the long-term, will have real implications, both in raised taxes and in the type of governance offered to you. This town council (TC) has been the most dysfunctional in memory and an embarrassment to the town. Furthermore, TC members have been insulting to the public they are supposed to be serving. Councilman LeBeau stated it was important not to let the taxpayers “get their grubby little hands on it [the casino gaming revenue]”. LeBeau flew off the handle at a fellow council member who had stated being appalled at something being said at a meeting, “oh, you’re always “appalled”. Then there’s Councilman Edwards. He can’t keep his arrogance at bay. At a town council meeting, when a member of the Charter Review Commission referred to himself as “commissioner so-and-so”, Edwards faulted him for using that term, asked him who had given him the “title” of “commissioner”, and demanded to know where in the town charter that title was bestowed. 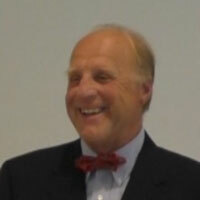 In a recent letter to the editor Edwards referred to the Tiverton Taxpayers Association (TTA) as “bad actors”. In the town council meeting on October 22, Edwards went full bore stating, “you’ve got to have something seriously wrong with you to be a member of the TTA”. Silence is telling – not one member of the town council, nor the town solicitor, said a word to Edwards about this statement being inappropriate. We should be able, at a minimum, to expect civility from the town body who serves at our pleasure, no matter who we are, what our views, what groups we belong to. This TC has settled lawsuits at huge costs to the taxpayer. This TC is the architect of a scheme to keep the casino gaming revenue out of taxpayer control, and to restrict access to any person wishing to put in an alternate elector petition, effectively removing it as an option. Councilwoman Hilton last week denied the TC proposal for how to use the casino monies removes it from the budgeting process. This is ingenuous, and unbelievable. Why have Question #10 on the ballot if the TC intent was to keep the casino monies in the general fund and the Financial Town Referendum process. You must vote to REJECT all TC proposals for charter change (#4 – #11). This TC cannot be trusted; it does not have taxpayers’ interests in mind. And Vote the TTA endorsed slate for TC and Budget Committee and bring back civility and an ear for you, the taxpayer. Go to www.tta2018.com for more information. If casino money accumulates for a decade to pay off a bond, there will be no tax relief for a long time at best. Although bond expenses could be eliminated from the 2027 budget, town officials typically anticipate this and backfill ending expenses with new spending. Then at the 2028 FTR vote (assuming the FTR and the elector petition are still around), tax-reliefers and the spenders will demonize each other and tax relief may not actually happen. The analogy is a mortgage that you prepay with no guarantee that it actually ends early. TTA’s approach is to reject the Town Council charter changes, keeping casino money in the FTR process. Only then will taxpayers have the option of deciding whether to reduce their taxes immediately or risk that they will receive a reduction years later. Based upon this Town Council’s charter questions, TTA Candidates assess this risk as very high. Reject all charter changes and vote for the TTA Slate. Justin La Croix, a Rhode Island native, was born in Pawtucket, RI. A United States Navy War Veteran who faithfully served as a Hospital Corpsman from 2005 to his Honorable Discharge in 2013, Justin served overseas with a tour in the Middle East (2007) and in humanitarian relief efforts during the Haitian Earthquake Crisis (2009) aboard the USNS Comfort. 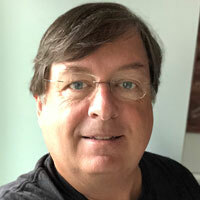 He received his formal education in the field of Clinical Laboratory Science from the Naval School of Health Sciences in San Diego, CA, and his Associates in Science from The George Washington University in Washington, D.C., and finished his BA in Environmental Science from the University of Phoenix in October 2018. Justin worked at St. Anne’s Hospital as an independent medical laboratory technologist from 2013 through 2018 and currently works as a Special Toxicology Interpretation Scientist for Dominion Diagnostics. Justin was the 2016 candidate for the House of Representatives in District 71. Justin currently resides in Tiverton with his wife Amanda and their four children and served on the Tiverton Charter Review Commission (CRC) during 2017 and 2018. For years I have spoke out against the Tiverton Town Councilors using Tax Payers money to fight their private battles against businesses in town. The Town does not belong involved in Civil Lawsuits. During my time on the Town Council, I tried to get these lawsuits settled, or dropped. I’ve seen these Anti Business Councilors decide they don’t like the activity going on in or around these businesses . They directed the Building Inspector to find zoning violations, and do things like rule their septic system is out dated, or some other trumped up charge. They harass the business with demands for engineering reports, costing the businesses thousands. In the case of Tiverton Four Corners, A law suit we lost recently, I objected to hiring an outside council, and suggested they stop the harassment. It didn’t stop them, they issue a cease and desist for the weddings on the property . They harassed the owner about parking and other issues. even sent police out there. I recently read we paid out one hundred thousand dollars to the owner of Four Corners for damages, and the lawyer we hired made about the same, all coming out of our pockets. That’s three hundred thousand dollars we could have used to pave. The Tiverton Town Council over the years has used our tax dollars to fight their personal battles. Their anti business NIMBY mentality has costs us hundreds of thousands of dollars. The law suits will continue till we rid ourselves of these people. We can’t continue to vote in people who waste our money and chase tax paying businesses away. Those holes in your road could have been fixed, instead we made the lawyers rich. I think this last loss where we have to pay one hundred and fifty thousand to the owner’s of Four Corners plus about the same in legal fees says it all. I’ve been watching the Power Grab the current Town Council is involved in as they try to take control of the Casino Money. They have ballot questions on the Nov. Ballot asking for permission to take the Three Million we were promised as tax relief ,and place it under their control, to be spent as they see fit. During the campaign to sell us on the casino, we were told the money would go for Tax Relief. Now that it passed the Scheming Town Council want’s to change the rules. All seven are in on the scheme to take the money we were promised. They also want to change the FTR so it gets harder for people to participate in the process. We can’t let that happen. The average home valued at $250, thousand dollars paid $4,098 dollars in taxes this year ,plus the car tax. If the Casino money was used as tax reduction, they would have paid $3,761 dollars , a savings of $336 dollars . That’s not a lot of money to some, but for many it’s help put food on the table, or with the high utility costs. We have many struggling homeowners who could use the break. I’m asking people to Reject the Crooked Town Councils Charter Changes this November. and Vote them all out. The Tiverton Taxpayers Association, or the TT “A” Team as I like to call them has a full slate of candidates who are willing to keep the promise of Tax Relief. We have a full slate for Town Council, and Budget Committee. These Candidates are willing to do the hard work needed to Clean Up Tiverton’s political cesspool. When you receive the TTA. flier in the mail, please save it for the polls. Voting the TTA Slate means Honest Government that keep their promise. Help stop the corruption, join the TTA. Voters have a clear choice this Nov. when we go to the polls. Taxes in our town have been under control since the FTR was voted in by a large majority. We wisely put in place a process where the people who pay, have the final say in our town budget. Replacing the old town meeting made sense. unlike the current Town Councils charter changes. These question aren’t in the best interest of the town and need to be rejected. They want control of the Casino Money and the Budget. Help Stop the Power Grab! The TTA has a full slate of Candidates for Town Council and Budget Com. We ask for your vote, and request you vote NO, Rejecting all the charter changes. The FTR works fine don’t change it. Occupation: Retired. I worked in the IT Industry for the past 20 years as a Senior Project Manager for Motorola, A Certified Instructor in Washington D.C., Government Contract Project Manager for Emergency and Evacuation Systems at U.S Embassies around the world for the U.S .Department of State. Reason for living in Tiverton: My Husband and I moved to Rhode Island in 2007. We love boating and decided to find a town on the water, small, rural, and picturesque. We found our wonderful home in Tiverton, just off of the water, close to our boat, and near the town center. Tiverton is conveniently located to access the entertainment available near Newport, to access the many things offered in “the city,” and to provide easy reach to shopping and entertainment in southern Massachusetts. As a bonus, I have come to enjoy taking photographs of all of the many animals that venture through our yard daily. We love our home and learning the rich history of our tiny town. Relevant Experience: In my 20 years of project management, I worked on many projects that required on time, under budget completion of highly technical equipment with complex specification. I have had to work for and with a diverse group of individuals, male and female, civilian and military, while overcoming additional challenges like language barriers and physical exhaustion. My patience has been tested through work, but being a mother of three boys and grandmother of seven has provided additional practice in dealing with adversity and some of the problems which other generations face. Being a lifelong military spouse has also provided me with lessons in hardship, as well as blessed me with many volunteer opportunities within the communities I have lived. As we all know, Tiverton is in a great location, with convenient access to nearby towns, the waterways, and nature. I want to be a part of keeping it a good place to live, and finding ways to make it better. The right place for me to start, I believe, is by serving on the Budget Committee (BC). This committee allows exposure to key players in town management and supervision. The voting public expects the BC to act on their behalf to help safeguard the proper handling of the funds they entrust to our town’s officials. Lending scrutiny to the evaluation, verification, and justification of budget submissions from those key town managers is therefore crucial to ensure that they are properly serving the public’s interest. And I want to help. I am retired from the US State Department, a Mother of 3, Grandma to 7, and homemaker. I want Tiverton to prosper. I do not have a personal agenda, but do think that the budget should reflect the wishes of the town’s majority; be vetted in a clear, transparent, plain language fashion; and offer voters alternative options when viable. Vote for me, and I will push for these ends. Don’t Re-elect this Town Council (TC) whose members have ignored concerns of the people and want to rewrite the governing rules to enhance their power. Vote to replace them with citizens who want to listen to and serve our community, weigh and balance our needs and means, and work with the cooperative structure our local government requires. In the past several years, I have witnessed a TC that holds required meetings, but does not actually listen to the concerns expressed by the people who attend. For instance, they allowed the Casino immediate 24/7 operations despite voiced opposition, recognized potential problems, and requests for additional compensation. How quickly this TC forgot the limited operating scheme on which the casino won approval. In addition this TC forgets the casino won approval because of promised tax relief from its revenue – revenue which this TC now wants to pigeon hole into a TC controlled “slush fund” to spend on TC selected projects without voter approval, specifically preventing it from being used to reduce taxes. Have no doubt, this TC holds meetings but its actions will not be altered to address voiced public concerns. This TC ignores past precedents, the people, and principles of good governance. This TC’s effective rejection of the duly elected Charter Review Commission recommendations has been falsely advertised by the TC as minimal modifications, hoping the voters will not note the current TC members actually are putting forth their own charter revisions which solidify their financial power, weaken the voice of the people, and reduce the strength of the Financial Town Referendum (FTR). Reason for Living in Tiverton: Tiverton is a great rural location, with a small town feel. I moved here because of its closeness to specific marinas and waterways, but it offers easy access to the areas of Newport, southern Mass, and into Providence. The town is quiet and out of the way. Relevant Experience: During my career as a Naval Officer, I gained experience managing a large number of diversely skilled people. I worked with and on a multitude of committees and working groups, among people with vastly different personalities and beliefs, usually under timeline pressures, to develop recommendations, plans of actions, and proposals. This often requiring significant compromise of personal opinions – but always with the goal that the job needed to get done the best it could. At Navy Headquarters, I created point papers and opinion statements, providing summary briefs on multi-billion-dollar projects to the Navy department leaders in charge of requirements analysis, budgeting, and resources, along with the VCNO. I am accustomed to reviewing long and complicated documents, liaising with a variety of individuals to edit, alter, or simply agree on the content of information being presented. As a Navy Nuclear Power Engineer, I am conversant in areas of electrical, mechanical, electronic, and fluid systems. I also speak English. I have been an instructor and professor of Mathematics for 15 years, primarily dealing with students who come from diverse backgrounds and who present with some challenge they need to overcome because of a social, economic, or academic deficiency, often accompanied with a cultural gap. Not that people on the budget committee or the town managers would be like my students… just that numbers and challenges don’t scare me. I love animals, boats, children, leisure activities, and most any weather, so if tensions rise in a meeting, there is always something else we can talk about. Watching the happenings within local Tiverton government is often confusing and disheartening – electors supporting officials whose records are abysmal or carrying out character assassinations on people who they don’t know; neighbors avoiding any local government involvement for fear of spiteful repercussions; surrounding communities laughing at Tiverton because of it. Why would anyone want to volunteer for office and expose themselves to the bad actors of our community? Why would I? I simply believe that any local elected position is about serving the community, and wanting to volunteer time and energy. 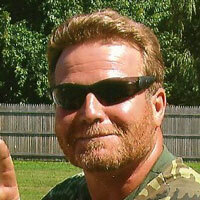 I served 24 yrs in the military, and am a retired Navy Commander. I currently serve (15 yrs) as a Mathematics teacher. I don’t have a personal agenda. I don’t believe that the BC’s job is to enact public policy. Besides, I would never vote on any issue that might remotely be perceived as a conflict of interest. I DO believe that townspeople have a right to know, honestly and transparently, without threats and hidden agendas, the benefits and costs of any budgetary option laid before them – and, if elected to the BC, I hope that I could help improve that in Tiverton’s process. Instead, I have witnessed one town councilor openly express personal disdain for the Financial Town Referendum (FTR), indicating that his preference would be that the TC make all budget decisions, without approval from those they serve and tax. Other councilors have oddly argued that a pot of money (specifically the casino revenue) exclusively controlled by the TC is required in order to fund essential projects that the TC, but not the voters, would approve. The underlying result, of course, would be the Tiverton public trusting the TC (and their wisdom?) to appropriately spend millions of annual revenue outside of the normal budget process and safeguards; without being scrutinized, prioritized and potentially eliminated by the independent and voter selected Budget Committee; and without any approval by the voters. That is, the TC would be unleashed to obligate taxpayers to finance anything of the TC choosing with no public vote. Don’t let the TC fool you, the current Tiverton budget process is more than flexible enough to effectively include all of the examples the TC has used as excuses for why they want control over millions in expected casino revenue. Whether financing essential capital improvement, infrastructure repair, or an initiative for long term debt reduction, the current process can support it – and allows voters to determine if it’s in our best interest. In fact, keeping all revenue within the town’s general fund not only provides its most flexible use, it allows a more equal footing to compare and prioritize spending options, and ultimately puts the choice of spending benefits vs. cost to voters. Remember, the casino revenue is NOT “extra spending money” – it’s simply revenue that was meant to reduce a budget deficit (approaching $40M) which taxpayers are asked to pay each year. The TC’s submissions for Town Charter changes will create a TC controlled casino revenue “slush fund” and diminish voter choice in the FTR. Whether through spite, arrogance, or ignorance of the current process, the TC’s charter proposals are not rooted in logic, or wisdom, or service in the best interest of the people of Tiverton. These changes bypass the intent and power of our current budget process. There is a need for change in Tiverton, but not in the budget process or control of revenue; rather, in a change of TC members who have forgotten whom they serve. Relevant experience: Charter Review Commission 2003, Budget Committee 2004 – 2010 (Vice-Chair 2007-2008, Chairman 2009-2010), Financial Town Meeting Changes Advisory Committee 2010-2011 (Co-Chair), Budget Committee 2012, Budget Committee 2016-Present. Founding member of the Tiverton Taxpayers Association. Voluntary involvement in numerous issues that have confronted Tiverton since 2003. Served on the Tiverton Charter Review Commission (CRC) during 2017 and 2018. #11 strips FTR voter rights to the point that direct voter access to the ballot via the Elector Petition is effectively ended. If voters approve both then ironically the casino revenue will be used for new spending (as opposed to lowering your taxes) and since the FTR Elector Petition will be gutted, then the Budget Committee (BC) will have no incentive to have a sharp pencil – get ready to go back to the olden days of reaching the 4% tax cap, or even breaking it. Devastating to taxpayers – but it is exactly what this Town Council wants – a continuous spending spree from its casino slush account(s) with no voter control. Perhaps Candidate Lebeau represented this TC best – keep “grubby little hands” off the casino revenue. Voters are urged to reject all TC charter questions #4-#11, some of which will forever disadvantage struggling taxpayers. And to Vote the TTA Slate for TC and BC who will do everything possible to ensure that the casino revenue does in fact lower your taxes and that the FTR is maintained as the taxpayer’s workhorse. Who would have thought that the casino would force a tax levy increase? Shell games aside, that is exactly what will happen next year if the Town Council (TC) charter questions are approved. TC ballot question #10 strips voter control of casino money and prohibits its use to buy what we already buy each year – resulting in TC “new spending” instead of directly lowering taxes. If approved, the $786,840 of casino revenue used to lower taxes in the current budget will need to be taxed next year. A 2.1% tax increase to fund the TC’s slush fund – outrageous. Add in 1-2% for raises this TC gives away, and next year approaches the 4% Tax Cap. Since adopted by voters, FTR tax increases were 2.6%, 2.2%, 0.0%, 0.9%, 0.9%, 0.5%, and minus .5%. Inexplicably, TC ballot question #11 strips your FTR rights – get ready for 3-4% increases every year if approved. Please understand that “debt reduction”, “infrastructure”, etc can all occur with #10 rejected. #10 imposes restrictions. Rejecting #10 maintains maximum flexibility and voter control. Why prevent casino money from directly lowering taxes (#10) and vote away our FTR rights (#11)? Learn more about rejecting the TC charter amendments, voting for the TTA Slate, and the TTA Platform at TTA2018.com. The incumbent Tiverton Town Council (TC) seeks charter changes that create a slush fund for themselves (rather than lowering your taxes) and strip your FTR voter rights (silence taxpayer opposition). Did Councilor Hilton “forget” that her own question #10 language reads “Pursuant to an ordinance, resolution, or plan adopted by the Town Council, any Casino Gaming Revenue……”? And why then did the TC’s own lawyer spend 22 months arguing (in legal writings) that the casino money could be stripped, by ordinance, from the voter controlled FTR process and controlled exclusively by the TC? And why does Councilor Hilton tout this FTR voter “final say” when the public record clearly shows she was the architect of silencing FTR voters by gutting the taxpayer petition (question #11). And voters are now supposed to vote away their proven FTR tools and “trust” these incumbents with the casino money? It is no wonder Councilor Lebeau said gaming revenue should be kept out of taxpayers’ control “so no one can get their grubby little hands in it.” If the FTR taxpayer petition was successful at lowering taxes, then the TC would not get its slush fund – quite simple. TC incumbents promote debt payment and infrastructure talking points to garner voter support for their slush fund #10. But rejecting #10 leaves the voter in charge of the unrestricted casino money, to use for those specific purposes – or any other purpose. But they don’t tell you that. Unless you reject #10, it would be literally illegal to use casino money to pay for the most basic operational expenses. This is exactly what they want – a slush fund focused on “new spending” – a spending party – versus paying the existing bills. Outrageously, this extends to the raises they give – their casino slush fund would be prohibited from paying those – ‘Let the taxpayers pay the raises’. A voter would never anticipate these realities based upon the vanilla “Voter Information Guide” mailed by Town Hall. Where is the trust? Not only is lowering taxes with the casino money at stake (Reject #10), but so is controlling spending for many years to come through the FTR taxpayer petition (Reject #11). And if the TTA Slate is elected, then taxpayer friendly town officials are the immediate insurance policy that TTA offers voters – especially if #10 or #11 is approved. Too much is at stake to trust this TC and affiliated unknown candidates. Reject all charter changes and vote for the TTA Slate. More info at TTA2018.com. Click to read the Town Council’s proposed charter changes. Vote to reject all ballot questions to change the Home Rule Charter. To keep things easy and because of the way the Town Council put them on the ballot, voters are urged to reject the following ballot questions. 4. Vacancy of Elected Positions. This change would require the council to fill most vacant offices with residents who ran for them in the prior election, in order of the votes that they received. 5. Advocacy by Town Officials. This would expand the degree to which elected officials and employees can use public resources to affect an election if they feel it is their official duty to do so or if they host a public forum open to the public. Less objectionable are the clarifications that elected officials can express their opinions and that political events are not uniquely banned from public spaces available for other events. 6. Charter Complaints. This question would completely rewrite the town’s well-established process for residents to file charter complaints against town officials. It would give the Town Solicitor (who works for the Town Council) complete power to decide whether a case is worth bringing to court, with no way for the person filing the complaint to appeal. 7. Temporary Employees. This would allow the Town Administrator to hire part-time or temporary employees without going to the Personnel Board. It is not clear whether the Personnel Board would have to be consulted if part-time or temporary jobs become full-time. 9. Board Membership. This would allow town employees who are also residents of Tiverton to be appointed to volunteer boards, except Planning and Zoning. A shortage of volunteers makes this understandable, but it should have given non-employee residents priority for appointments. 10. Casino Gaming Revenue. This change is a major power grab by the Town Council. It gives the council complete power to spend gaming revenue from the Twin River casino on whatever capital or debt purchases it wants, with no exceptions, emergency provisions, or safeguards. No other revenue for the town is handled this way, and any statements made about how this money might be used are empty promises, because the council has total control. The Town Solicitor would be able to block any elector petitions or budget proposals simply by claiming they would be “inconsistent” with state law or the town charter, with no ability to appeal. An elector submitting a resolution or budget would have to get four times as many signatures in order to place it on the ballot. Every change that an elector proposes would have to appear on the ballot, unlike any competing budget, disadvantaging lower-tax petitions.